For 6 months now, INNOWEO is providing you with exclusive contents regarding innovation, corporate innovation and project management. Time for me to have a look back and look at the most read articles on the website (not ranked). Your next product idea is right here, in front of you. INNOVATION TOOLS: How to create a Persona (Design Thinking)? Qu’est ce que le « Design Thinking » ? I would also suggest to have a look at the following articles which are, I humbly think, really interesting. A/B testing seems to be the holy graal of start-upers. It might seem easy at the first sight. But actually is a real science which combine marketing, design, statistics and… chance. However before launching the production you want to know which one will be sold mostly and thus product the one that people wants. And you wait until you know which of A or B version has been sold the most. That’s it you are done. Of course A/B testing is based on an assumption that nobody will be able to prove. It stays in the fact that people in the Z(A) group will react exactly the same in front of your test and Z(B) people does… So to be sure that your test worth value, you have to achieve a certain amount of visitors to « average » some particular behaviour. So the most people visit your website, the most trusted your A/B test. That’s A/Z testing where you test multiple variables. I just have to check what produces the most members. As for an information I have tested A and B version with greater results for B version, the actual one on INNOWEO. I have never tried the other. Should I? Let’s know imagine that you want to test the shape and colour of a button, sounds and image. You are now entering the world of statistics and combination. 4 buttons, 3 sounds, 3 images give 36 possibilities. You can manage it iteratively or test it statistically to reduce the testing time. Up to you. A good experiment plan is however a valuable help. Of course if you A/B test your product it is because you want to know which version is the more suited to your goal. That’s marketing. This should be in full accordance with your ultimate goal. Lots of dangers in A/B testing. Some are listed here below. Why are patents a terrible way to measure Innovation. 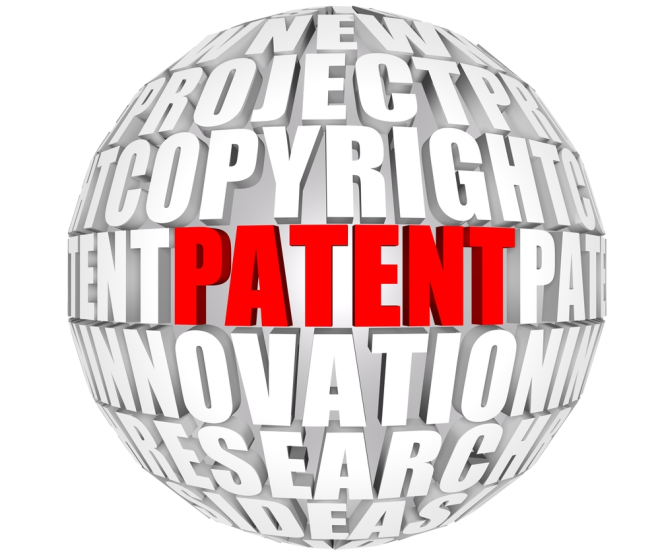 Patent (just as most of corporate does), main advantage is that you will be the only one to use the technology but by publishing a patent you disclose the subjects you are working on. Keep it secret. Risky if someone else patents your technologies but safe in the sense that nobody knows what you are working on and how you do it. A good article on the subject by the Washington post. What is you prefered KPI for Innovation? Lately a friend of mine asked me about what kind of books I would consider if asking about « must read » dealing with innovation: Here is my selection of 8 books that are, at the time, the ones I consider as the most valuable. More than any other books even more than any other website or TV show speaking about IDEO, this is how I have discover Design Thinking and especially SERVICE Design Thinking. Still one of my favourite reference and reading. A comprehensive and useful website is available. In a time where money is missing and when you have to be more and more effective to be sure that every € you put inot innovation will produce some more € as a business, it is vital to do more with less. That’s what Innovation Jugaad is teaching! I don’t know about the english title of this book but as it has been written by the wonderful Bernie Sander it was originally in english. A very interesting book for those who have to run an idea management system. Do you see some more to add? Leave a comment! It is always a bit difficult to find a good ressource about design of service. This is a very very good one. A good collection of tools with case studies and a lot of other ressources. A must read. I have been asked lately about one product manager of my company about how to have great products ideas. I told him that I had no direct answer for him but I could try to help anyway. That’s key. No one will pay an extra € or $ for something that fix… nothing. So try to find an issue and solve it. An important issue of course. An issue for which people are ready to spend some money to avoid it. Pierre Valade, the founder of Sunrise, tells that he is focusing on everything that takes more than 5 min a day. That makes sense. Focus on what will your customer feels when he/she will use your product. That’s key. testing is key for product development. Getting feedback is so more important that it should be your fist concern. By getting feedback you can adjust your product to your market needs and identify your market. Do and redoing it, both parameters will be assessed: market and product design.